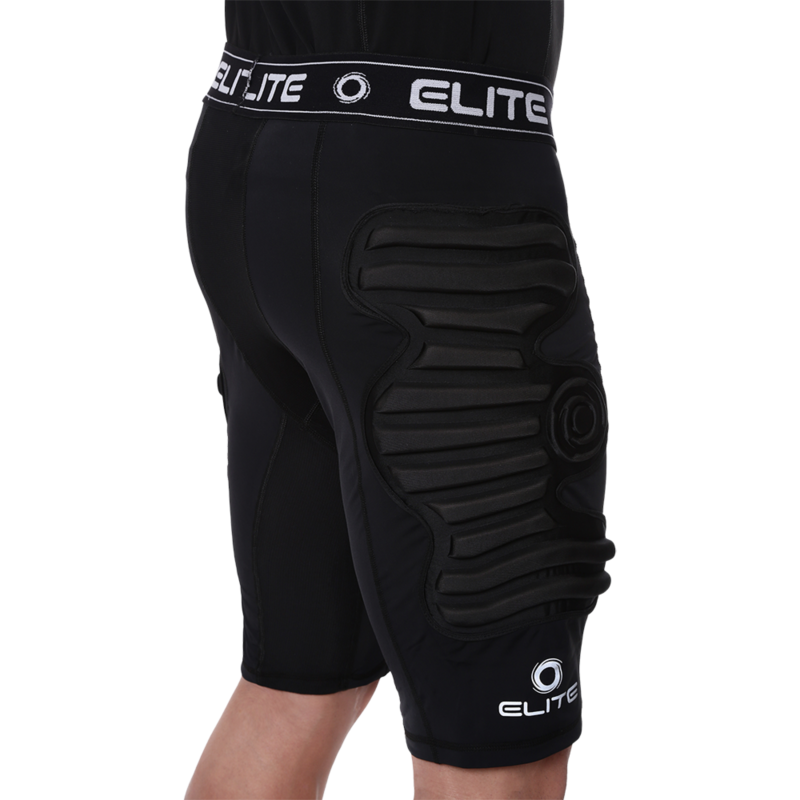 Yes, these Elite Shorts are made of specially-developed, comfortable compression fabric. Yes, the 7mm padding is a high density polyurethane that acts similar to memory foam. Polyester/Lycra blend to allow the shorts to be flexible and breathable. The fabric incorporates Ultra 3W moisture management technology for heat control and maximum comfort. I play indoor rec league and needed some help with my aging hips versus this facility's practically concrete surface. While they don't prevent the pain previously there, I can tell that they will certainly help when it heals up. I've worn them for a few games under my shorts and they are very comfortable - you can barely tell you're wearing them and I feel like I have full movement including when sprinting out of goal. They are a bit longer and poke out beneath the shorts. I was concerned they weren't quite tight enough and would slide down during action but so far they've held up just fine. Looking forward to further games in them! As always, Keeperstop an excellent location to purchase from - shipped within an hour of ordering!